One of the many things Door County is known for is its wide variety of incredible fall festivals. Of them all, the most popular by far is the annual Sister Bay Fall Festival! Referred to as the “Grandaddy” of all Door County festivals, this event originally started as a celebration for local tourist workers. It was their reward for completing the busy summer season. Today, that festival has grown into one of the largest weekend events on the peninsula! On October 12th – 14th, you won’t want to miss all the fun, music, food, and more at the Sister Bay Fall Festival! With so many wonderful things to see, do, and experience in Door County this fall, where do you begin? You can start by requesting your free copy of our Vacation Guide! This handy vacation planning tool is filled with all the best recommendations for local activities and attractions, including events just like the Sister Bay Fall Festival. Get your free copy today and let’s start planning your dream fall escape. From car shows, craft vendors, live music, and traditional activities, you’ll never be bored during your visit to this Sister Bay, WI festival. Whether you attend for just a day or go back all weekend long, there are new and exciting events to get involved in! While the Sister Bay Fall Festival 2018 schedule has yet to be officially announced, here is an overview of last year’s itinerary as an example of what you have to look forward to. The Sister Bay Fall Festival is just the beginning of all the fall-themed fun! Here are even more exciting events that you should mark into your calendars immediately! Held the Saturday before Memorial Day, the Sister Bay Marina Fest is one of the most popular Door County events. With Door County live music, an abundance of food and beverages, a classic wooden boat show, and fireworks, there are plenty of ways to enjoy this unique festival. The Pumpkin Patch Festival is a highly-anticipated carnival that celebrates the true autumn spirit! Unleash your inner child on the carnival rides, browse the creative pumpkin and scarecrow displays, be wowed by a roaming magician, or participate in a silent auction! It’s a weekend full of great food, fun, and autumn harmony. Our lovely hotel is a favorite among couples looking for a romantic getaway, and for good reason. We are located right in the heart of Door County, so you’ll never be far from all the festivals and autumn fun. Our luxury rooms and suites also provide ultimate comfort and privacy, so you’ll have a quiet and relaxing place to return after your daily excursions. You may also choose to spend your evenings enjoying our variety of unique amenities, including an indoor pool and fire table. It’s everything you need and more for a memorable escape to Door County. 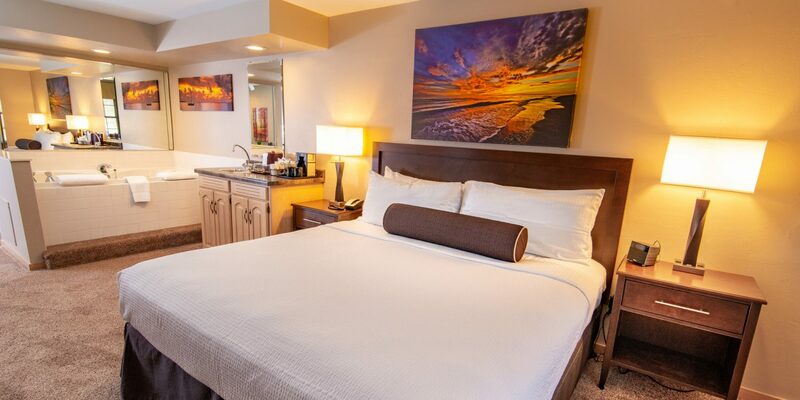 Book your fall vacation in your favorite room today! We look forward to welcoming you to Door County soon.